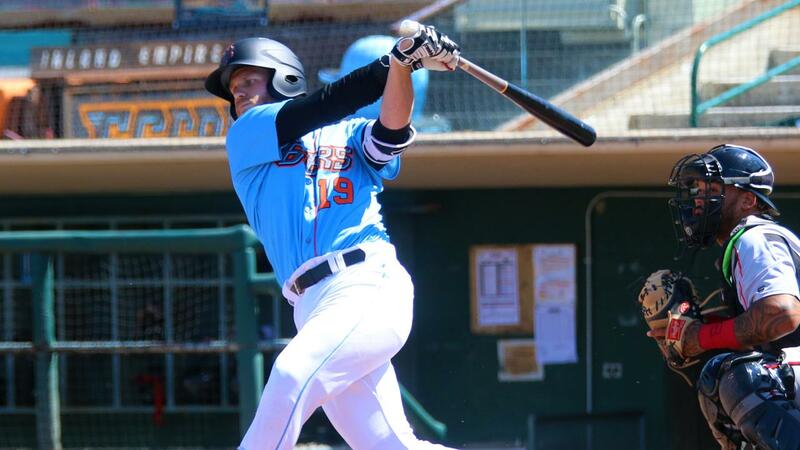 SAN BERNARDINO, CA- The Inland Empire 66ers of San Bernardino dropped its series finale versus the Lake Elsinore Storm 2-1. The victory gave the Storm the season-opening series victory three-game-to-one over the Sixers (1-3). The game was scoreless until the fifth when the Sixers touched Storm starter Luis Patiño (1-0) when Leonardo Rivas tripled with one out and then came home on the double by David MacKinnon to take a 1-0 lead. Orlando Martinez, however, was thrown at the plate trying to score on the play from first. The Sixers would not score again. The Storm (3-1) answered the next frame with a single from Eguy Rosario, double from Tirso Ornelas and then sac fly from Luis Campusano tie the game. The Storm took the lead on Esteury Ruiz' RBI single against Denny Brady (0-1). Angels' righty Taylor Cole tossed two scoreless frames on an MLB injury rehab (shoulder) for the Sixers. Evan Miller earned the save with two perfect innings for the Storm, his second of the series. The Sixers open a series versus Modesto Monday at 7:05 pm. The contest can be heard and seen live at 66ers.com.